Salaam Bombay is a 1988 Hindi film directed by Mira Nair. The film revolves around the lives of children living on the streets of Bombay, as seen from the eyes of an juvenile runaway. The film was highly acclaimed, won the National Awards and was nominated for the Academy Awards. Salaam Bombay is the story of Krishna, a young boy abandoned at a circus by his mother with an instruction to come back only when he has earned Rs 500. He joins the circus and starts doing odd jobs there. One day when he returns from an errand, he finds that the circus has left without him. Krishna cannot return home without earning the money, so he boards a train and arrives in Bombay. Once in the big city, he is promptly robbed of his meagre belongings. He follows the thieves, befriends them and settles with them at the Falkland Road, the notorious red-light district of Bombay. Krishna get a job at a tea stall with the help of Chillum, a drug peddler and addict, and assumes a new name – Chaipao. Chillum works for Baba, the local drug lord, who employs other addicts in the drug business. His wife works in the red light area and they have a little daughter. Baba has gone back on his promise to start afresh in a place away from this murk, something which keeps hurting his wife. Krishna struggles hard to save enough money to return to his mother. He falls in love with a new girl Solah Saal, who has recently been sold to the broth-el. The duo set fire to her room and try to escape, but are caught and brought back. At the behest of the madame of the establishment, Baba agrees to break Solah Saal to make her agree to get into business. On the other hand, Krishna is left battered and jobless. He works odd jobs, feeds himself and looks after Chillum. The gang even robs an old Parsi man by breaking into his house. However the Rs 300 Krishna has saved so far is stolen by Chillum, who uses the money to buy drugs and dies of drug overdose. One night, the boys and Baba’s daughter are caught by the police and sent to a juvenile home.Krishna manages to escape and comes back to his old place. He finds that Chillum has been replaced by another recruit. Baba’s wife comes to know that her daughter will not be released because of her mother’s profession. Krishna tries to persuade Solah Saal to run away with him, but she prefers Baba over him. In a fit of rage, Krishna kills Baba and runs away with his wife. As luck would have it, they get separated in a Ganesh Chaturthi procession. The end credits roll with a desolate Krishna staring blankly at the ground. 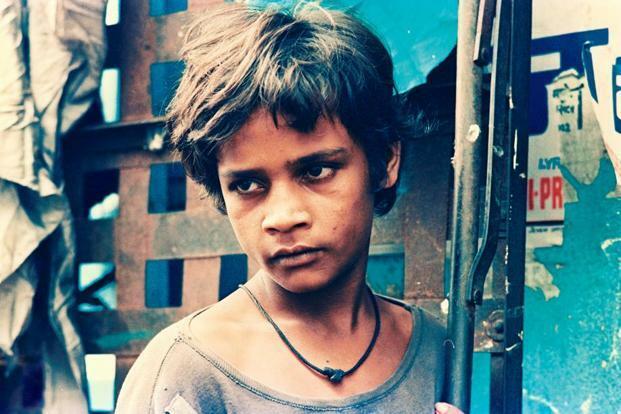 Many of the young actors in this film were actual street children. They received dramatic training at a special workshop in Bombay before the shooting started. The film inspired the setting up of Salaam Balak Trust, which works with the street children in India. This was the one of the first screen appearances of Irrfan Khan. Shafiq Syed now lives in Bangalore and is an auto driver.